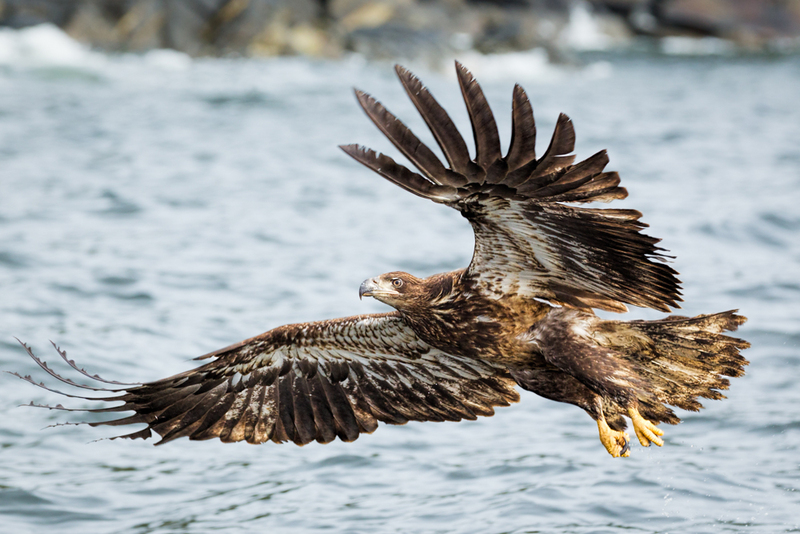 Juvenile bald eagle photographed in Alaska. A few years ago, I learned a technique from Rob Sheppard to make sure the critical part of my subject is in focus. He suggested focusing precisely on the part of the image that must be sharp. From that starting point, I could then calculate depth of field (DOF) and determine what additional parts of the image would be acceptably in focus. In practice, I could also use the DOF preview button and see it real time. 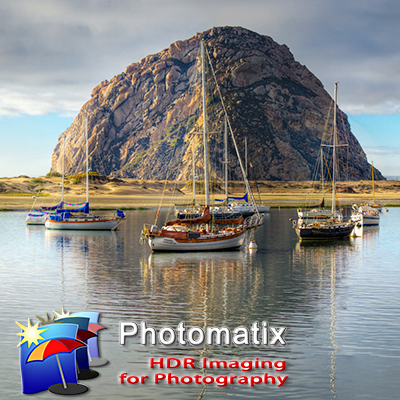 This technique is great for every type of photograph I make. It is sometimes a bit challenging though when photographing action. In the example image, the eagle's eye must be sharp so it makes sense to focus precisely on the eye only. I can make that happen by selecting a single auto focus (AF) point, placing it on the eye, and tracking the bird as it flies from right to left, easier written than executed when the bird is moving very quickly. Since this can be difficult, many photographers choose to use a zone AF system in which multiple AF points are active. As long as the subject is under one of the active points focus is normally achieved. This technique works well as long as there is sufficient DOF to cover from the point of focus (as determined by the zone) and the critical part of my image. Looking at the example eagle again, notice the left wing tip is not sharp. The shutter speed of the shot is 1/1250th so motion blur is not the culprit, lack of DOF is. This demonstrates where the zone technique can hurt you. If the zone had "locked" onto the outer portion of the left wing it would be sharp, but the critical area, the eye, would not be. Fortunately, for this image I knew I had shallow DOF and needed to precisely place my single AF point on the bird's eye. So what should you do in the field, single or zone? Single is much more challenging but it always works. The zone is much simpler but DOF can be an issue. I use both methods but before I shoot I calculate my DOF with a smart phone or tablet calculator. This way I begin the shoot with the information that allows me to choose the appropriate AF technique. Approaching each action shoot whether birds, horses, or people, I follow the checklist shown below and always calculate my worst-case DOF so I know if I should use a single point or the zone. More info on this checklist and many others may be found at the following link. Of course making the choice between zone and single point is just one part of the process fpr action photography. You must also practice your focus actuation technique, support, tracking, and exposure modification. Very few eagles where I am in California so I practice on any and every bird I can find. If there are no birds around I make do with anything in the air. The shot below is a single AF point with the EF 800mm f/5.6L lens tracking a moth, needed a bit more shutter speed to freeze him. When you are ready for eagles join Rick Sammon and me in Alaska and let's shoot!